Elmedia offers fantastic HD experience thanks to its native hardware accelerated decoding feature. It doesn't just bring you the best quality picture but also doesn't load your computer's processor. 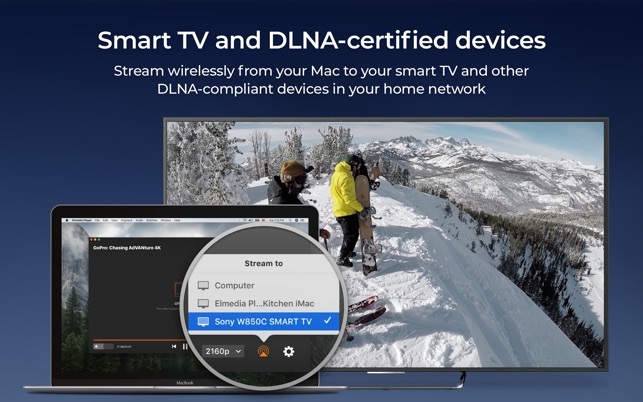 Stream to Apple TV, Chromecast, Smart TV, other AirPlay, and DLNA-certified devices with Elmedia Player GO. 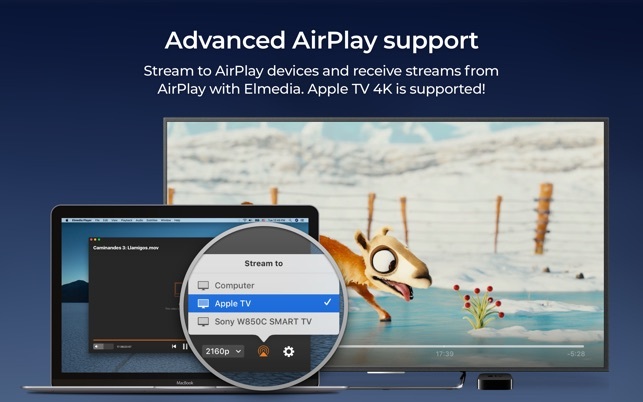 Feel free to try new possibilities of Elmedia Player GO: install the player on your Mac and stream audio and video content to Samsung TV, LG TV, Sony TV, and other smart TV sets. 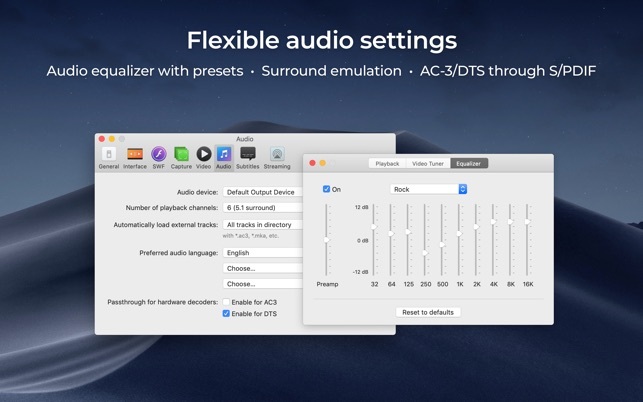 * Audio and video can be streamed in their native formats or transcoded on the fly when needed. 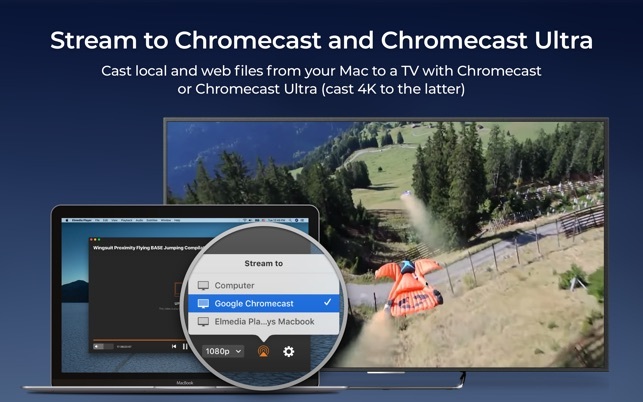 * Up to 4K videos can be streamed to compatible devices (Chromecast Ultra, Apple TV 4K, etc.). 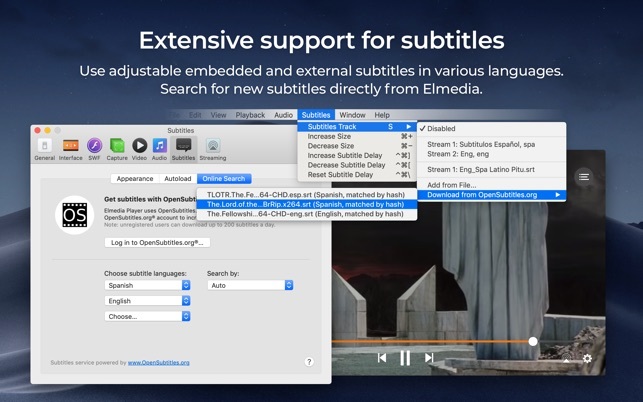 * Both external and embedded types of subtitles are supported. 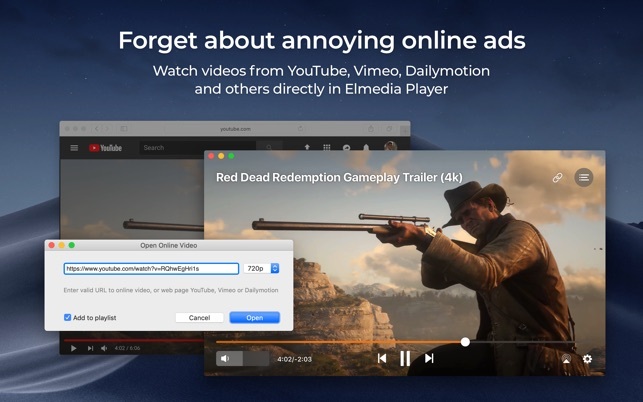 * YouTube, Dailymotion and Vimeo videos can be streamed without ads (via Open Online Video). 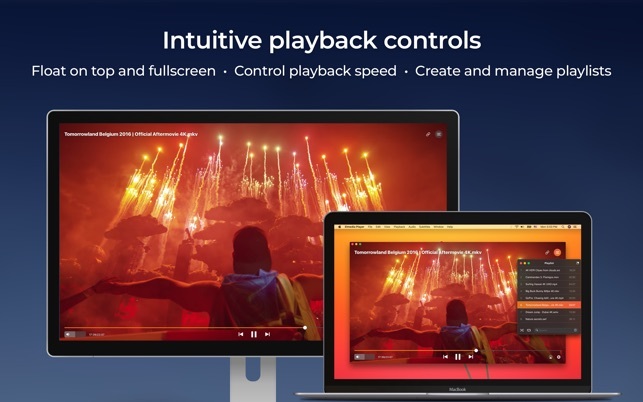 * Build a streaming playlist of your own and enjoy it on a larger screen. 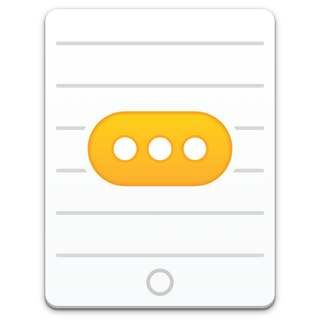 * Media streaming can be controlled directly in the app. 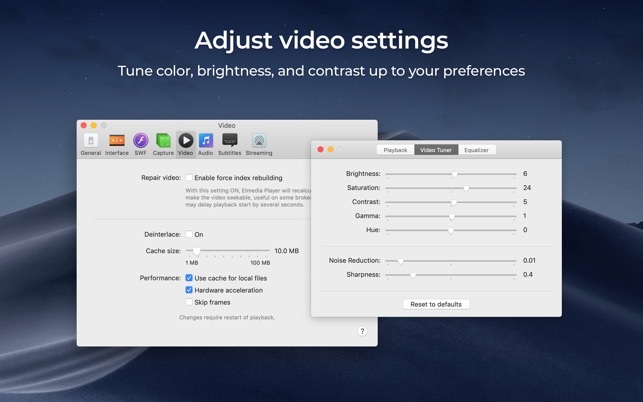 You can play, pause, seek, or stop the video playback, and adjust the volume when streaming to Chromecast or DLNA devices. 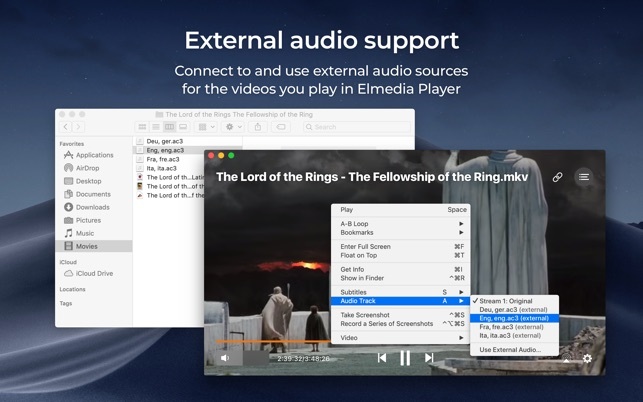 If you need to AirPlay audio from your phone to Mac, you can use installed Elmedia Player GO as an audio receiver. Opensubtitles.org is a great resource for subtitles in various languages. 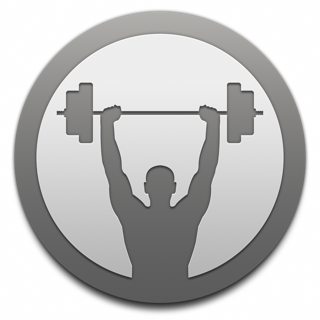 We added the direct search on this website in Elmedia. You can easily find and add subtitles to a movie without leaving the player. Elmedia Player GO works with your Myo armband - check details at http://goo.gl/SLqbQL. I like all of this app except for the fact it is real cumbersome to change playback speed. Hope you guys can improve on this. It’s perfectly fine that I can see some other videos that I made in the past. Also, it’s pretty something that I enjoy. We are sorry for the problems that you've encountered with our software. 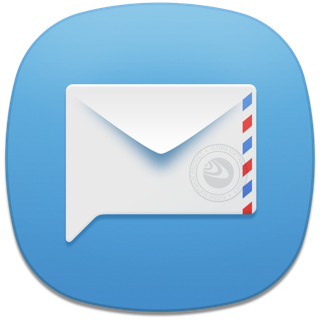 Please contact us via email support@eltima.com so that we can assist you further.